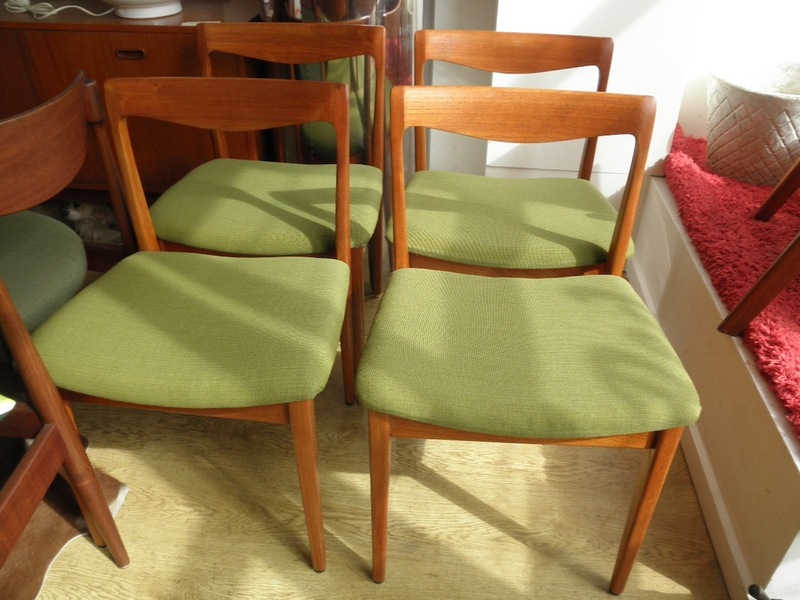 This super rare set of Fred Lowen FLER dining chairs were apparently the top of the line according to the original owner and he thought they were part of a “flerholme” dining suite which I have never come across before. 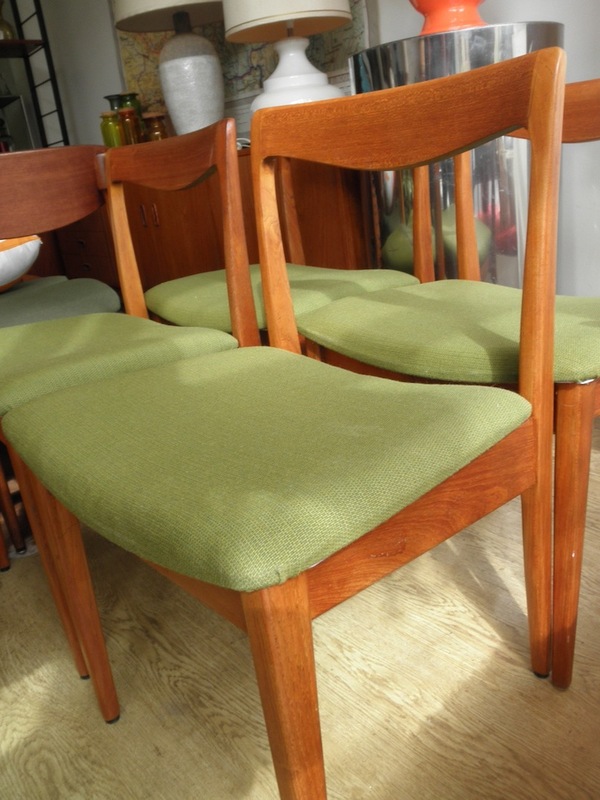 They are in solid teak which is rare for FLER but the only marking is the standard FLER label that appeared on the Narvik range and other FLER pieces. They are a great solid comfy set and look great around any teak mid century table.